How To Style A Black Leather Jacket For EVERY Occasion! Almost everyone has that staple black leather in their closet - whether it is the classic biker leather jacket or the modern peplum one. These jackets have become a wardrobe essential over the years and an absolute favourite among everyone! Although a genuine leather jacket is likely to burn a hole in our pockets, it is totally worthwhile to invest in one…someday! 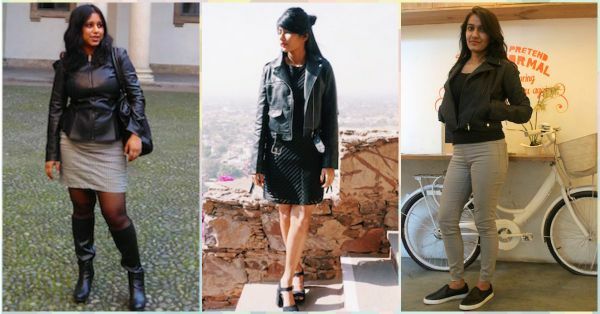 Here are some awesome tips to style your black leather jacket from the POPxo team! 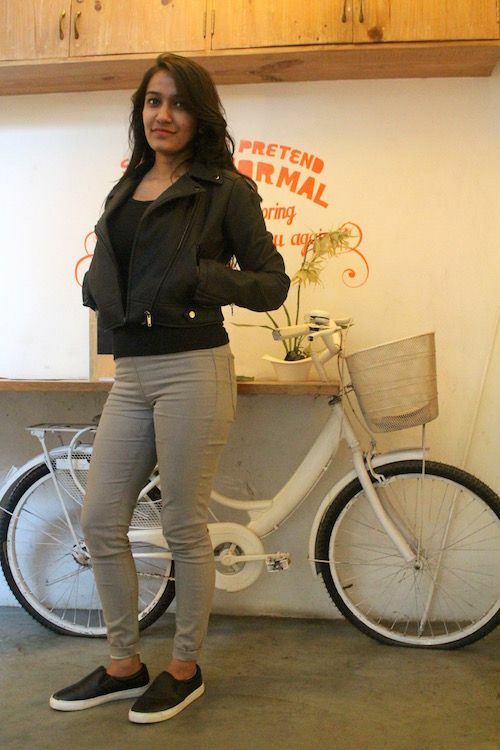 Namrata Bostrom, Co-Founder and CEO If you have a classic biker leather jacket, then you don’t need to dress it up, for it does all the talking! 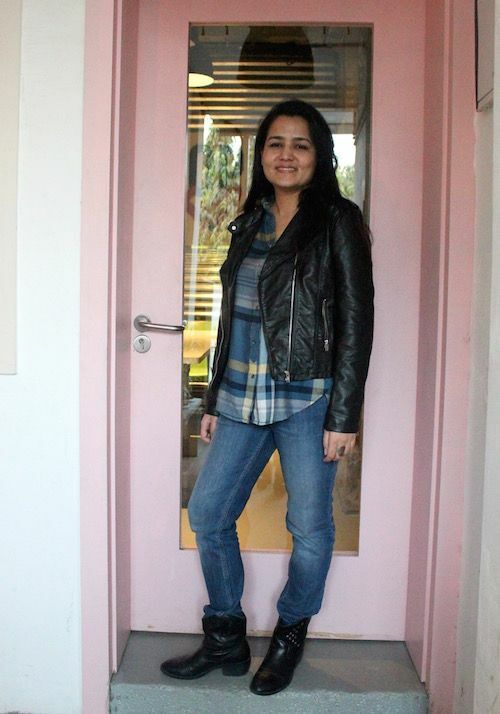 Our CEO wears her classic biker leather jacket with her deep blue denims and clogged heels. Love the way her heels and jacket combo still give that extra edge to her minimalistic look, making her look effortlessly chic! 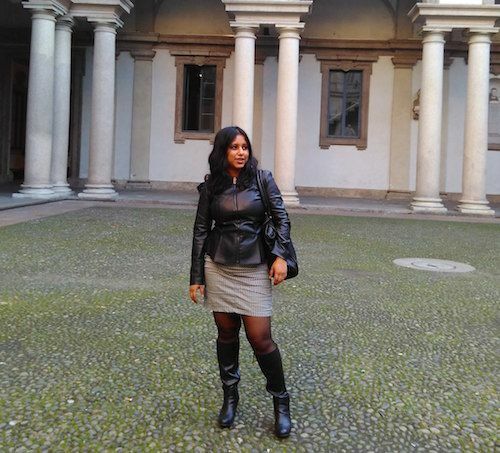 Pradipta Sarkar, Associate Editor We all love knee high boots and how they tie up an outfit. Pair them with your favourite leather jacket and create a fab outfit that is bound to turn a few heads when you walk by. 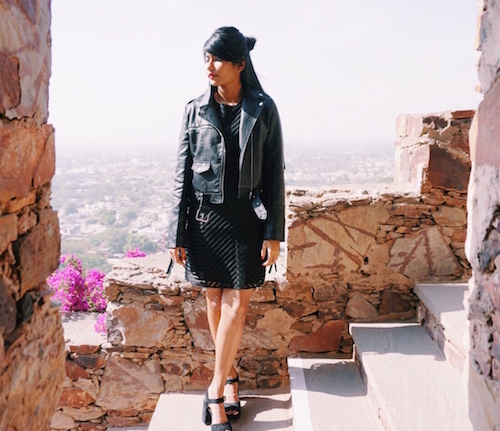 Associate Editor, Pradipta, is doing just that by pairing her leather jacket that comes in a pretty peplum silhouette with knee-high boots and a monochrome mini! What’s not to love?! Krita Raut, Editorial Manager If you have a plaid or tartan shirt, then you also have a chic outfit waiting for you! Wear your leather jacket over a plaid shirt and channel that Indie cool girl in you. Take note from Krita who also adds a pair of killer ankle boots to complete her look. Outfit goals! Gopika EM, Social Media Manager Mini skirts can do no wrong! Take your style statement a notch higher by simply pairing your mini skirt with a leather jacket. Rocking this combo with so much ease and looking gorgeous is our Social Media Manager, Gopika. She is also giving us major all-black-everything outfit goals by the way she’s playing around with fabrics and fringes on her jacket. Simar Rana, Senior Lifestyle Writer When in doubt, take those comfy boyfriend jeans out! No better way to look like a classic fashionista than by pairing your leather jacket with ripped boyfriend denim. 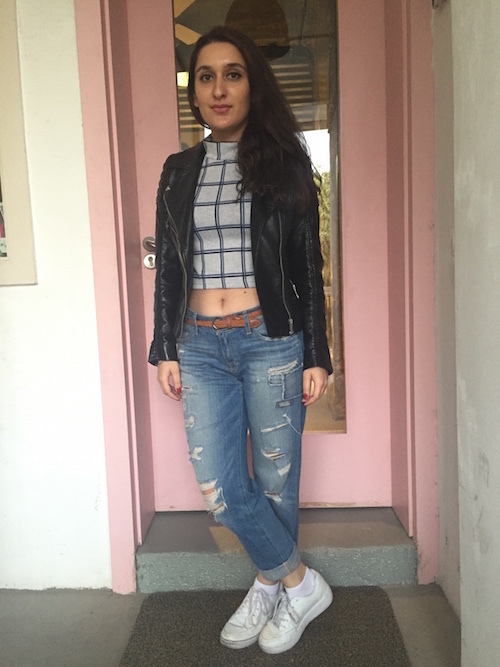 Our Senior Lifestyle Writer, Simar, gives us some serious outfit inspiration! The jeans, the jacket, the shoes...need we say more? Neha Gupta, Lifestyle Writer How cute are plimsolls! We all have at least one pair of plimsolls or flats we count on every time we have a busy day. Don’t let a hectic day kill your vibe, just throw on that gorgeous leather jacket on top and look like a total rockstar. Lifestyle Writer Neha sure knows how to look like a diva whilst being comfy. Watch and learn, ladies! Cherry Jain, Video Coordinator Another way to glam up your look is by pairing your jacket with a maxi skirt! Don’t be scared to experiment with colours, for it might do wonders for your look. 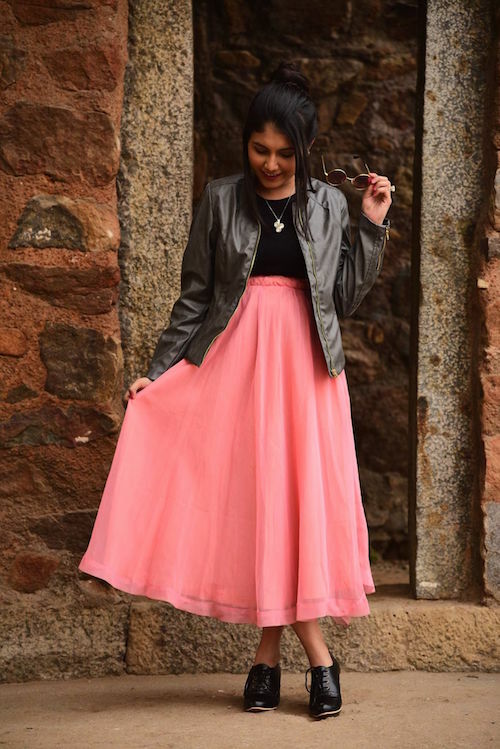 Take cue from Cherry and the way she styled her jacket with a pretty pink maxi skirt. Who says you can’t twirl around and look girly in leather? HAVE A STORY IDEA FOR POPxo? If you want to hear about it, we can write about it! Just tell us your idea here! MUST-READ: Summer Dresses In Winter?!? Team POPxo Shows You How! MUST-READ: How To Wear Your Sneakers With EVERY Kind Of Outfit! !